I have loved every single one of Stephanie Thornton's historical novels and the only reason I'm not reviewing her newest, The Tiger Queens: The Women of Genghis Khan, is because I've got a six-day old baby. But I'm dying to dig in (thank you, Ms. Thornton, for sending me a copy!) and I'm excited to share my interview with Ms. Thornton about this book and her writing of it. Be sure to enter the giveaway to win a copy, too! Was The Tiger Queens the original title of your book? Actually, it was! I'm three for three with my titles so far... They've all been my creation, which is pretty rare for authors these days. 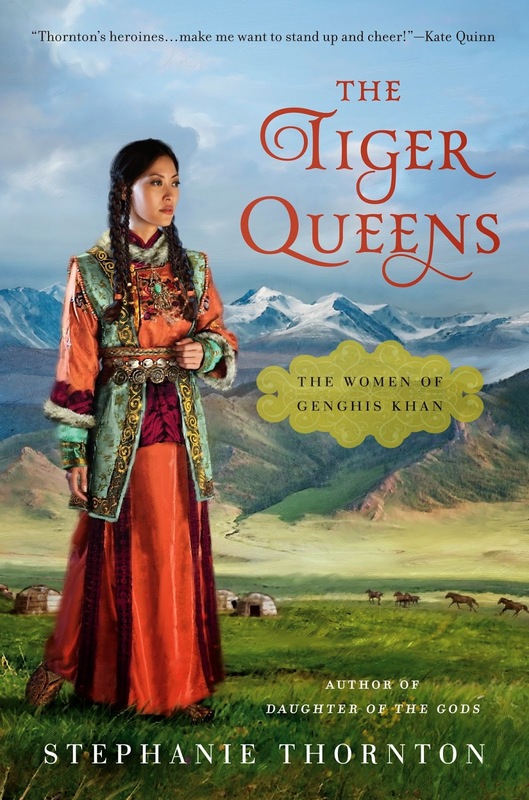 But The Tiger Queens is just the perfect for all of these women, considering how fierce they had to be to survive not only Mongolia's harsh climate, but also the political tumult of Genghis' conquests. As you were writing The Tiger Queens, was there a particular scene or character that surprised you? Fatima, a Persian captive, was actually the character who most surprised me, I think because I got rather attached to her and she ends up making some rather surprising choices throughout the story. She's a snob to her very marrow, (although really, it would have difficult for anyone to avoid looking down their noses at the Mongols for their table manners), but that actually becomes one of her most endearing traits, at least to me. Your novels span the globe and different historical eras. How do you get into the right mindset for each novel? You have three books out now, and you're working on your fourth. Do you have one that you're more sentimental about? I'm sentimental about all my books, but for different reasons. The Tiger Queens was my problem child simply because the story spans eighty years of history, four cultures, and virtually all of Eurasia. So I suppose I'm sentimental about it because it was the most difficult to write, and several times I threatened to throw the entire thing out the window! My thanks to Ms. Thornton for her thoughtful responses. 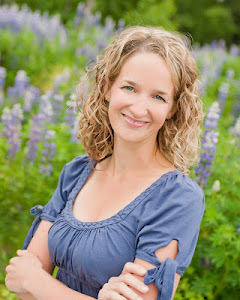 You can learn more about her and her books at her website, and connect with her on Facebook and Twitter. Be sure to follow the tour and check out reviews on the other blogs. I'm thrilled to offer a copy of The Tiger Queens to one lucky reader! To enter, fill out this brief form. Open to US residents only, ends 11/28. See my Giveaway Policy for complete rules. Wow, I can see why she does so much research! I'd love to get this one. It's the only one I haven't read by her yet. I can't wait to get into this one!